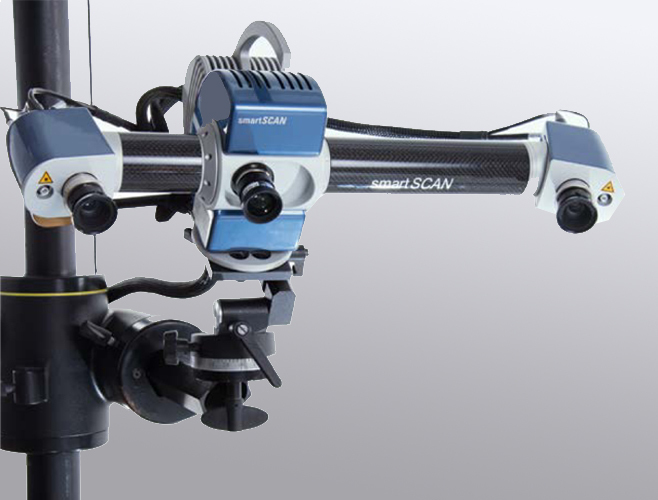 At Scansite 3D, we choose the highest quality 3D metrology hardware and software available. 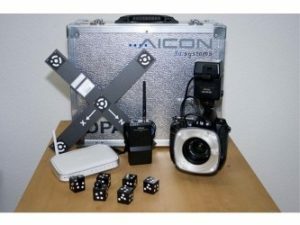 Our installed systems include structured light scanners manufactured by GOM/ATOS and Aicon3D/Breuckmann, laser scanners manufactued by Hexagon/Creaform, and photogrammetry systems manufactured by Aicon3D. With so many 3D measurement systems available, we are always able to select the best 3D scanning solution for your project. 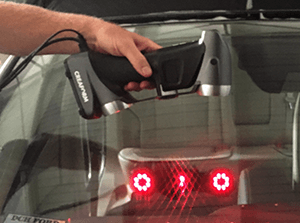 3D Laser Scanners only capture individual object points, lines, or areas as a compact grid. Structured Light 3D Scanning works by projecting a moray fringe pattern onto the surface of the object using an LCD projector. A camera, offset slightly from the pattern projector, looks at the shape of the pattern and measures the entire surface of the object in the field of view. 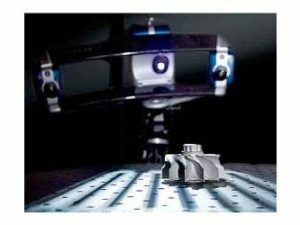 Subsequently, the high measuring point density generated from Structured Light 3D Scanning not only results in more precise measurement data (accuracy in the sub millimeter range), but also a considerably higher resolution. Another advantage to Structured Light 3D Scanning is speed and flexibility, which give us the means to handle increasingly demanding projects and/or scanning conditions. Our large array of measuring volumes and software allow us to work in many challenging environments, indoors or out, on projects ranging from jewelry to aircraft. 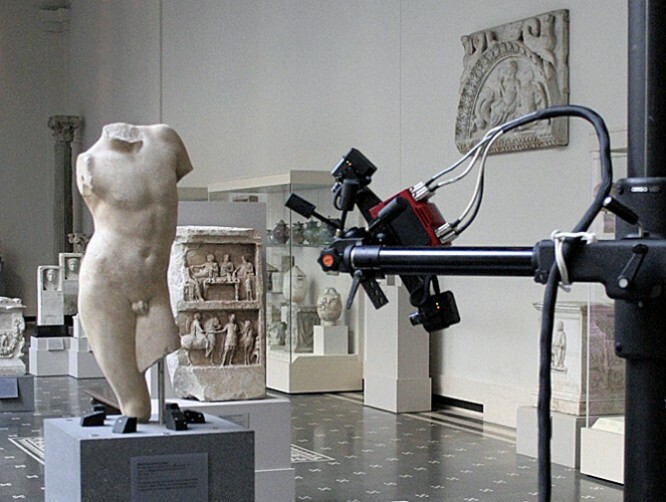 Additionally, Structured Light 3D Scanners use photogrammetry to ensure accurate alignment. 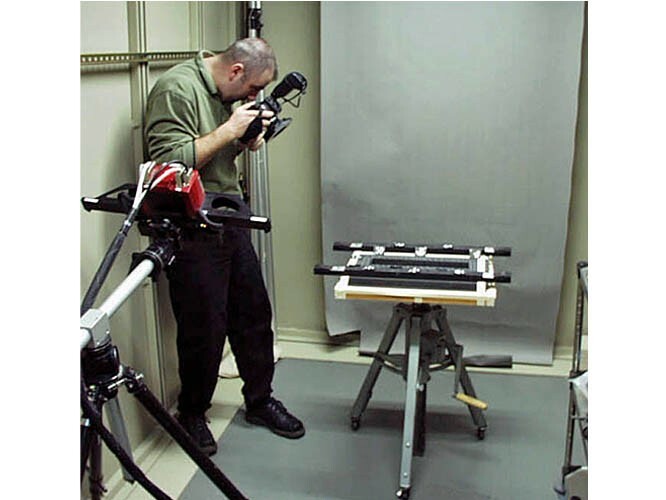 Large object scanning can require 100 or more individual scans to gather all of the measurement information needed. As the next step in any project is to merge those individual scans into a single description of the object, it is critical that this step is done correctly. 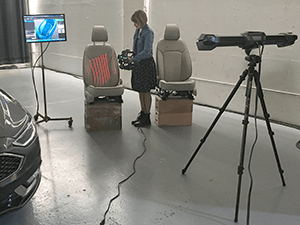 A 3D scanner analyzes real-world objects or environments to collect three-dimensional data on its shape. 3D scanners share several traits with cameras. 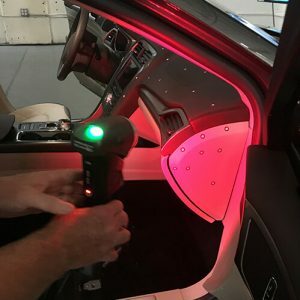 While a camera collects color information about surfaces within its field of view, a 3D scanner collects distance information about surfaces within its field of view. The “picture” produced by a 3D scanner describes the distance to a surface at each point, thus allowing the three-dimensional position to be identified. Call us to tell us about your project. We’d love to tell you how we’d approach it with the best technology and provide high-quality, dependable services. 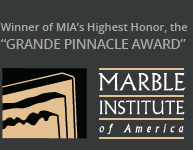 “Richard MacDonald Studio has been working with Scansite 3D for several years. Throughout our research in trying to incorporate new technologies offered to artists, we have been very pleased with Scansite 3D. Their resources and communication have been far superior to that of other companies we’ve tried. Scansite 3D gives us exactly what we’re looking for and always completes projects within the demanding time frame of our company. Their attention to detail and high quality has also helped our studio be more efficient when re-sculpting prototypes.